Family traditions can give comfort and build stronger relationships. Whether you’re just building your own traditions or you’re sticking with the ones your family has been following for generations, it’s important to preserve them, so they don’t fade over time. 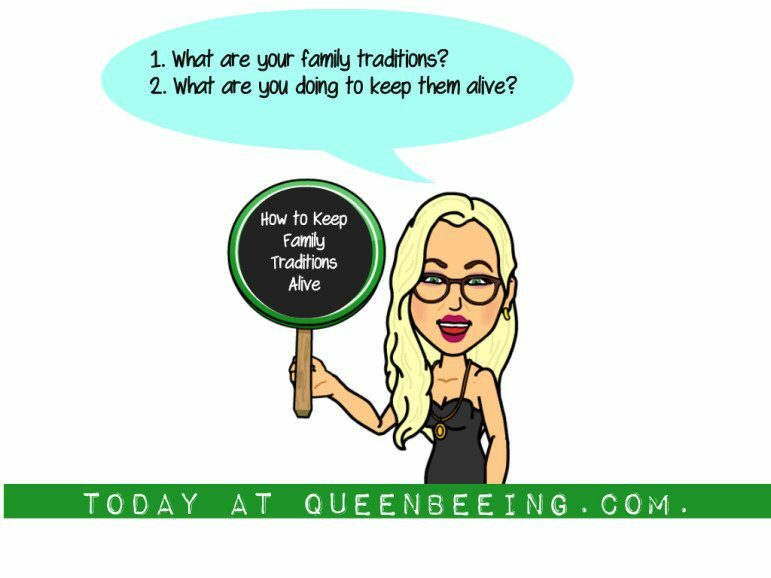 So what can you do to preserve the traditions your family enjoys? Try these strategies to sustain your family traditions. 1. What are your traditions, anyway? Recognize and define your family traditions. The first step to keeping them alive is to find them. Each family has a unique set of traditions. Ask yourself these questions if you’re having trouble defining yours. What were the traditions you noticed as you grew up? What were the traditions you heard your grandparents and parents discuss? How did you handle holidays, special occasions, and other events? Tip: Traditions can come in many forms and vary greatly from family to family. They can include favorite meals, different ways to celebrate the holidays, special gifts for unusual events, or vacations to the same spot. 2. Carve it in stone! Write it down. Make a list of your family traditions. To help keep the traditions going, you can make a written record that can be passed down from generation to generation. Family traditions can fade and change over time. They can be completely forgotten after the death of a loved one. They can also be replaced with new ideas that matter to the family. You may want to gather the thoughts and memories of grandparents, parents, cousins, and others to fill out the list. 3. Consider the future generations! Create a guidebook to your family celebrations. Don’t be afraid to use visual media to your advantage. Your list doesn’t have to be limited to words. Photos and videos add a visual element that helps keep the traditions alive. They can help family members understand important events that contribute to the traditions. Tip: The various types of media can be a growing project with new additions each year. You can ask other family members to share their photos and videos that add interest and memories to your traditions. Consider a website that an be printed yearly into a family almanac! 4. Hang loose! Stay flexible. It’s important to keep traditions flexible enough to work with your lifestyle. It’s fine to change traditions over time to make them realistic. * You may admire your grandmother’s tradition of cooking an eight course meal from scratch every Thanksgiving without help. However, you don’t necessarily have to follow the exact procedure. Traditions should enhance the family’s experience. Don’t feel guilty about letting others help. * The ideal family traditions will help your family members bond and make cherished memories together. They aren’t meant to feel like challenges or annoyances. 5. Build your own traditions to add to the list. Consider creating new traditions. Saving old traditions is only one part of the process. You can build new ones, too, as your family grows and changes. The old traditions can be adjusted or set aside as needed. Tip: If you would like to create a new tradition, experts recommend starting slowly and asking other family members to get involved. Try out your ideas together. If the plan adds to your family’s enjoyment and succeeds in bringing your family members closer together, you might just have a wonderful new tradition! Family traditions can help build stronger connections among family members and help keep the family together, even during difficult times. You can enjoy these traditions and preserve them for future generations by following simple steps. Your grandchildren and great-grandchildren will thank you for keeping these traditions alive. Your Turn! Tell me in the comments about your family traditions! What are your favorites? Which ones would you like to add? I’d love to hear your thoughts! Looking to make new family traditions? We’ve got ideas! Be sure to check out our holiday posts from our Pinterest Queen! Toxic Family Timeout: What is Parental Narcissism?